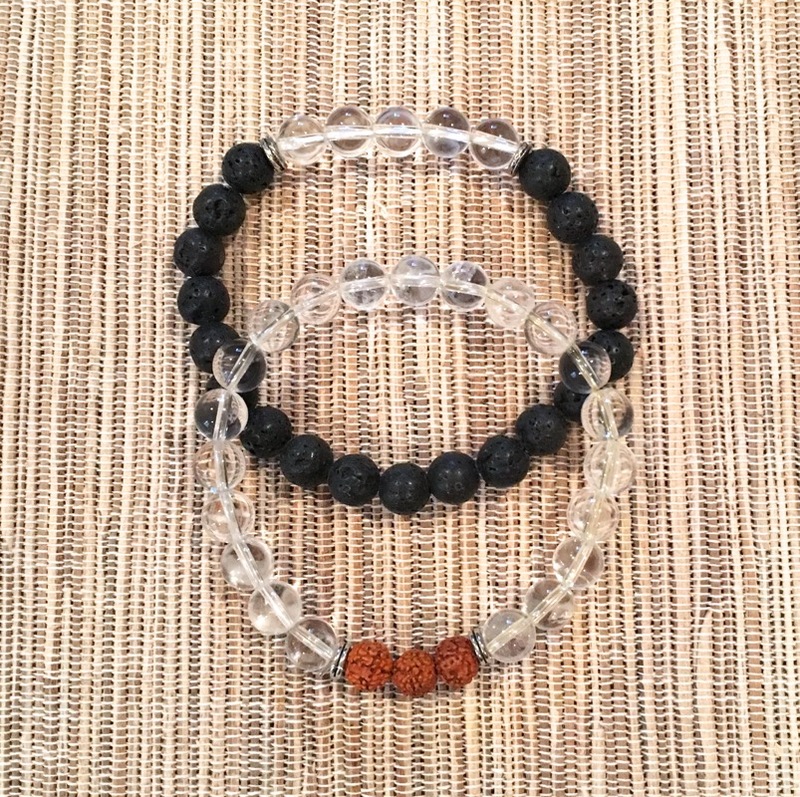 Clear quartz with rudrakshya and lava with clear quartz beaded bracelets on a stretchy cord. Clear quartz balances and regulates energy. 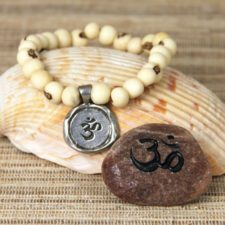 Rudrakshaya beads are sacred and used for meditation, protection and connecting mind, body and soul. 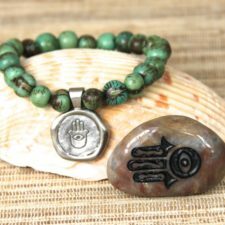 Lava beads are calming, stabilizing and grounding.